Things Just Ain't What They Used To Be: Party on Detroit City. Dedicated to all noise makers, synthesizers, drum machines & dance parties. 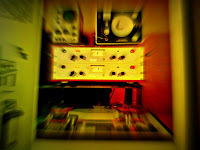 Focusing mainly on House, Disco, Techno, Electronic, Italo, Boogie and Soul music. Another party in the best city to party in...DETROIT. 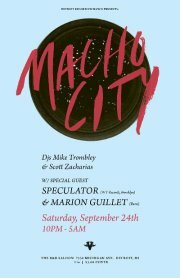 Macho city residents Mike Trombley & Scott Zacharias will be playing alongside Speculator (NYC) and Marion Guillet (Paris). If you're in the area get down there to the 1 and only Macho City. I'm in England but would have driven to make it if I could have. Get down with Detroit's finest.